First and foremost, a career in early childhood education comes with certain requirements. These requirements depends on the center, your state and local area. For example, in the state of California, day care center employees must be educated in early childhood development and child to staff ratios require one teacher for every four infants or six toddlers. 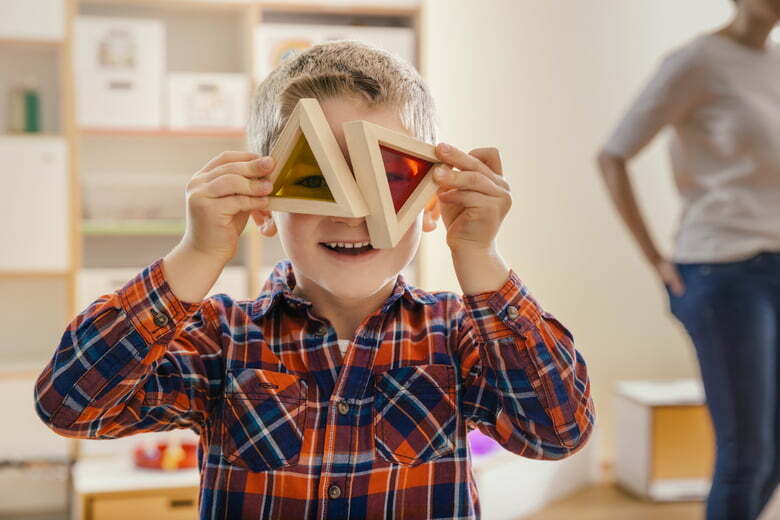 So some day care centers may hire candidates with a high school diploma and a couple years working or volunteering with children, says Sabrina Walters, director of U-GRO Learning Centres in York, Pennsylvania. Others may look for a certificate or associate degree in Early Childhood Education. There are also areas with quality initiative programs, where teacher certification and/or a bachelor’s degree in education is expected for teachers, Walters says. You’ll likely have to pass a criminal background check before you’re able to work with children, as well. Child care: Care duties may depend on the age of the kids you’re working with. For babies and young toddlers, diapering and feeding are big parts of the job. For older toddlers and preschool-age kids, you may take on more of a teaching role while also handling serving meals and trips to the potty. Physical demands: Day care work can be physically demanding, as well. Depending on your role, you may have to lift babies and small children, crouch down to speak with them at their eye level, be able to hear and see them well and also get hands-on to play and care for them. “This job requires a lot of moving around, getting up and down off the floor constantly, actively playing with children,” says Walters. Teaching responsibilities: “Most child care centers have a curriculum of some sort, so the teacher may be asked to prepare and implement lesson plans, as well,” says Walters. Preparation may extend beyond the work day and require experience and/or training as a teacher. But that’s not all. Everyday interactions are all teachable moments, says Wolfe. To accommodate working parents, many day care centers open early in the morning, often around 6:30 a.m. or 7 a.m. and close around 6 p.m. or 7 p.m. You may not work for all of that, but depending on your role, you may have to work some early morning or end-of-day shifts. You also may have to work when public schools are open, such as when there’s a delay or closing due to weather, during school breaks and, of course, during the summer. And it’s super important you’re there, so it’s not likely to be flexible. “It is crucial that teachers be reliable — our jobs operate on student/teacher ratios and the team and the children will need to be able to depend on their teacher showing up at work each day,” says Walters. However, you will probably be entitled to sick days and can probably count on having weekends and nights off. The benefits and policies that come with the job may vary from day care center to day care center. But know that many do offer medical and dental benefits, paid time off, life insurance, 401(k), educational assistance and other benefits. When you’re researching potential employers and interviewing for jobs, ask plenty of questions to find out what perks they give their employees. “An early childhood education professional’s most basic job duties revolve around keeping the children in their care safe,” says Walters. You’ll need to constantly be supervising the kids while performing your duties. You’ll likely be required to have CPR and first aid training, or be willing to get it before your first day on the job. After all, it’s a big responsibility being in charge of kids’ safety, and you need to know what to do in an emergency. Patience: “You need to have an abundance of patience,” says Mary Anderson, Early Childhood Education program director at Bryant & Stratton College, which has several locations in the U.S. Imagine a room full of pre-K kids eager to fingerpaint… just about everywhere. Or five babies crying at once. If the thought of multitasking or in managing difficult personalities (let’s face it, 3-year-olds have difficult personalities) is overwhelming or stressful to you, this might not be your ideal line of work. People skills: It’s not just kids who you have to be able to communicate with, it’s the parents, too. “Families will likely expect that the teacher communicates them verbally and/or in writing about the child’s day,” says Walters. Baby and toddler rooms often have pre-printed slips of paper that include the child’s feedings and nap times for the day, as well as any notes, such as the child’s mood or behavior. For older kids, you might not get so detailed, but you should definitely keep the lines of communication open, letting the parents know how the day went and if anything was different than usual, such as if the child refused to nap or if they fell and scraped their knee. Ability to multitask: “Successful early childhood educators… need to be able to multitask effectively, and they need to be able to manage several different personalities or interests at once,” says Walters. Enthusiasm: When you’re a day care teacher, it’s normal for your day to include reading children’s books, singing and chatting with kids about things like dinosaurs and firefighters and even their toilet habits. If you can’t get excited about those, this isn’t the line of work for you. In other words, if you have things going on in your personal life — like a breakup or a scratch in your car — you’ll still have to put on a happy face at work for the kids. This requires an ability to compartmentalize. A good day care teacher doesn’t job hop or flake. Kids need to know you’re a stable, constant part of their daily lives. Oh and one more thing — the most important thing: “First and foremost, you’ve got to love being with kids, in all their moods and with all their emotions,” says Anderson. Without that love of children, all the rest of the above details really don’t matter.